There were 4 ramens on the menu tonight, and since I have 2 more people with me, we ordered all 4 to try out all of them at once. Personally, I fell in love with their Shio ramen. The tasty umami from the Rausu kelp and Hongare Katsuobushi Dashi broth really perfected it. Let me tell you more about Mensho Tokyo and their delicious ramen! 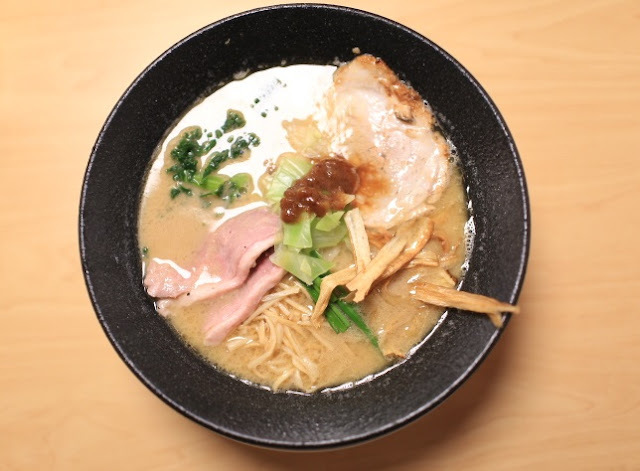 Mensho Tokyo is owned by Tomoharu Shono 庄野智治, who already has 6 other ramen shops in Tokyo and Kawasaki Prefecture. (his first shop already operates for 10 years!) 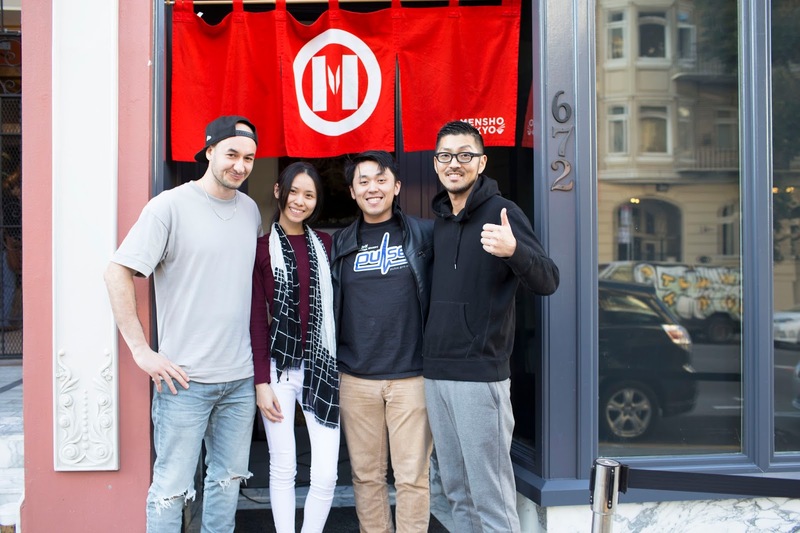 Mensho Tokyo in San Francisco is the first oversea ramen shop! 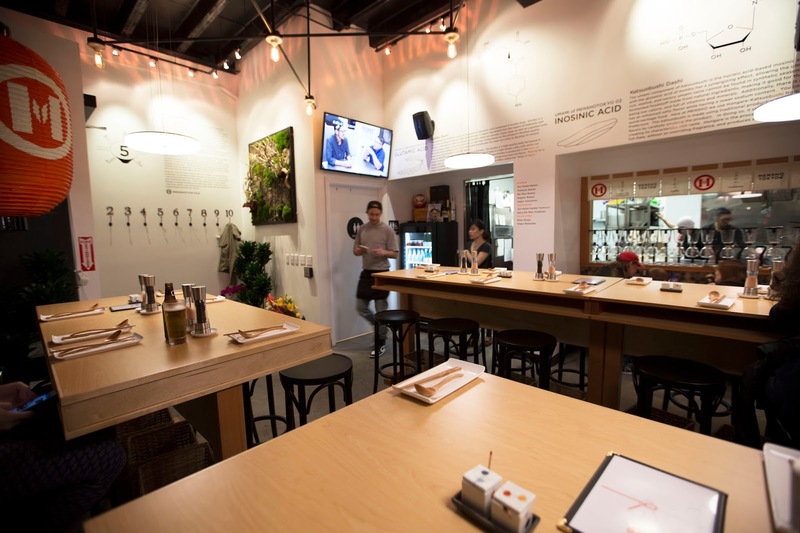 Although the shop is located outside of Japan, Shono-san does not get lazy about bringing an authentic Tokyo-style ramen to the Bay Area. 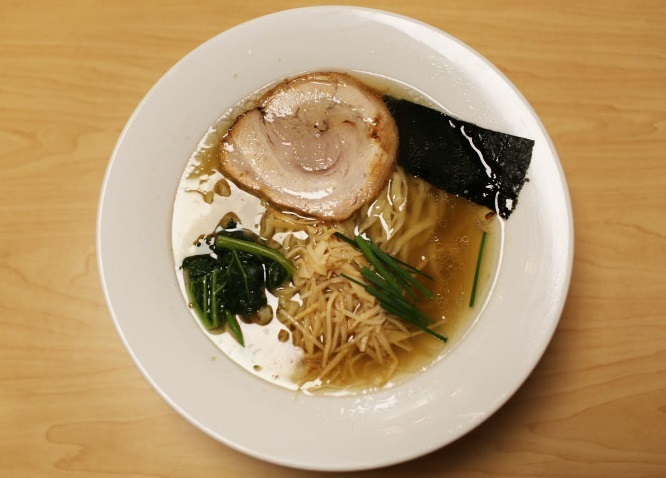 His ingredients are imported straight from Japan to maintain the flavor of real Japanese ramen. 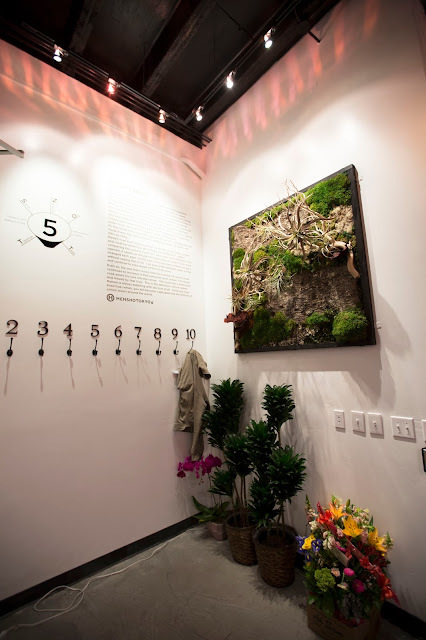 Since Mensho Tokyo's grand opening was on Saturday Feb. 6, I've heard the seating still takes a while. (Without ticket machine, restaurants just run slower overall... =.=) As a result, my friends and I decided to head to the restaurant super early! The restaurant opens at 6pm, but we already started lining up at 4pm. (We were the first one in line! >_<) The owners saw us this early and came out to have a chat. It wasn't until 4:30-ish that another party showed up in the line. And the line only gets longer until the shop opens sharp at 6pm. Once we are inside the restaurant, it feels like a museum. The space is clean with explanation of ramen-related terms such as Katsubushi Dashi. 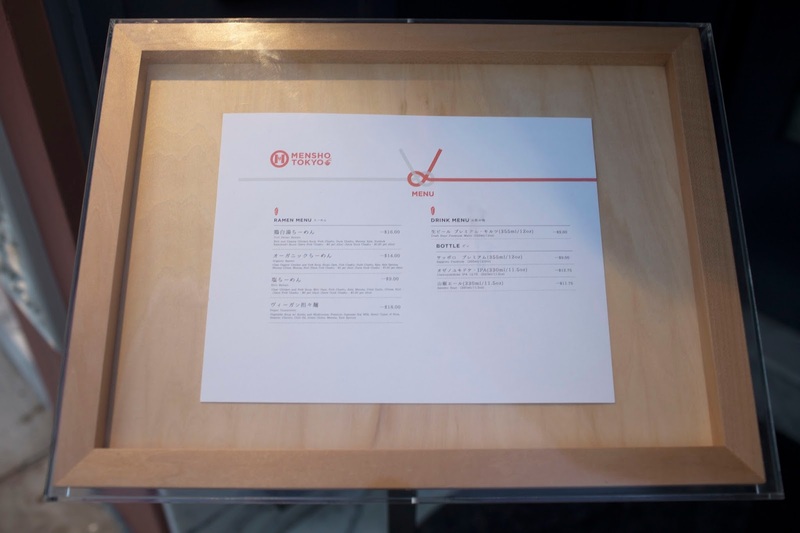 Menu is also printed on the wall. Since we are the first one to get seated and ordered, we receive our bowls around 5-10 minutes. We are very hungry, and we can't wait to try out all of them! 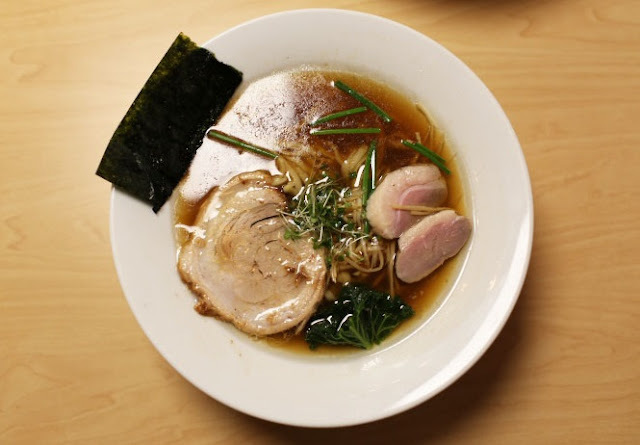 Our favorite is the Shio Ramen. It looks simple and light, but the broth tastes undoubtedly amazing! So far, this broth is probably the best Shio you can find in the Bay Area. It totally reminds me of some of the best ramen places in Japan too. Vegan tantanmen has a very unique taste to it. It can completely replace the meaty flavors that tantanmen commonly needs to achieve. The broth is flavorful and extremely thick, almost like a creamy sauce. By blending vegetable soup with kombu, mushroom, and premium Japanese soy milk, there are also 7 types of nuts to bring out the heavy aroma. The most obvious one is the roasted peanuts. On top of that, cilantro, sesame, chili oil, green onions, menma, and kale sprouts are topped on the thick ramen noodles. My friend, Grace, already came here before their grand opening. She said the Tori Paitan tasted very good with a very thick creamy texture. Tonight, the Tori Paitan seems a little bit different. It's more soupy, a little bit powdery in the soup too. I suspect it's the texture from chicken breast? The taste seems a bit lacking chicken aroma & flavor too. Other than that, the chashu is tender, and the duck chashu has a chewy texture. The taste is alright, I can't really judge anything since I've never tried any duck chashu anywhere else. I do know it takes a lot of effort to specially make duck chashu. On top of that, cabbages and slices of fried Burdock Root. The shoyu was our least favorite, but it is still good comparing to most ramen shops around the bay. It doesn't have the strong umami flavor like the Shio, and it is actually a lot lighter than we thought. Overall, the experience of Mensho Tokyo is excellent. 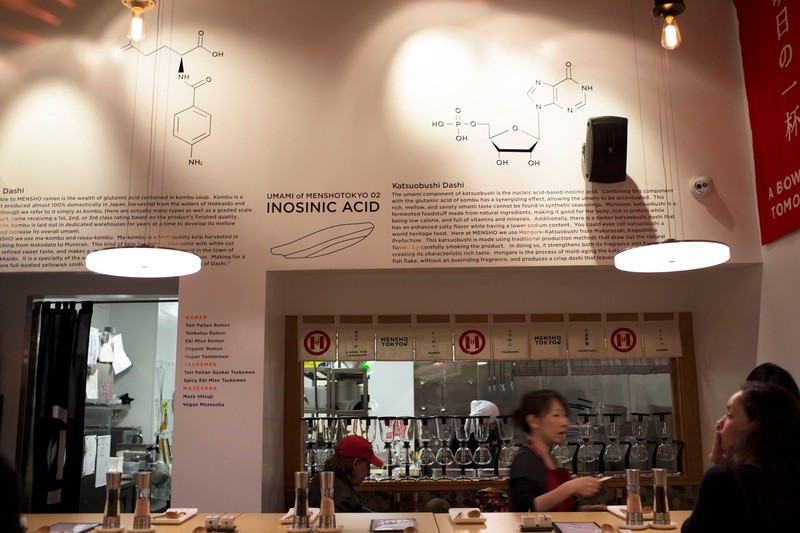 The food is great, and the atmosphere and culture of the shop really brings you back to Tokyo. For example, there are baskets under the table that allows you to place your belongings. All staffs speak Japanese fluently. Open kitchen with counter seating is always a feature in ramen shops, which you can see how chefs make your bowl of ramen in front of you. On the downside, the restaurant only can serve up to 31 people maximum. The waiting time for seating is going to be pretty long with all the cleaning, credit card payment, and customers chatting after food, etc. (minimum wait of 2 hours, maximum can be up to 3 hours) I highly recommend waiting early to get the first wave of seating. Of course, waiting with friends will make the experience more fun! I feel like eating ramen right now, but it's freaking midnight! ^^ Nice! I have the same problem, looking at ramen photos at midnight... and oooops...^_^"
I wish we had something like that in Louisiana! Wow! I love good ramen! Me too, love ramen so much! There's no good ramen shop in Louisiana? This is making me miss the Bay Area! I have found some good Ramen in Chicago, where I now live, and definitely appreciate it even more on a cold and windy day. But I haven't found anything nearly as good as Ramen shops I ate at when I lived in San Francisco and Oakland! 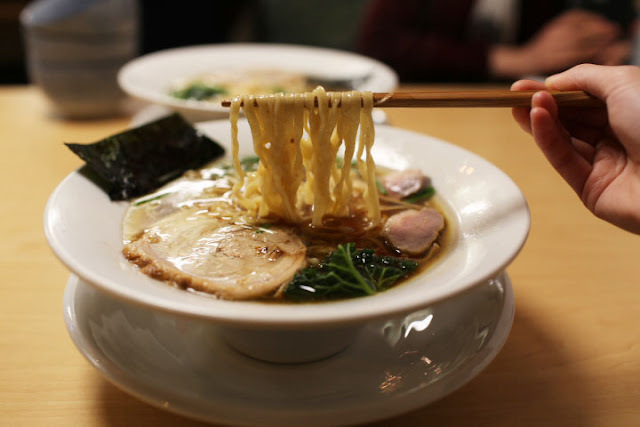 I feel lucky to live in the Bay Area just to have great ramen, but NYC has great ramen as well, with more types! But really, traveling to Japan is the best! The Vegan Tantanmen looks so good! Wow I want them all! They look so DELICIOUS!!!!!! i like ramen soup with chicken no port, like it with veggies and seafood as well. Chil', where were you when I was raising 8 kids!? My spins on Mar(brand name withheld) ramen noodles never looked, certainly didn't taste, like anything in this post! If it had, maybe my dinners would have went over a little better. Well, it's never too late (though I can't take the sodium), grand kids--get ready for the culinary experience of your life! Thanks, Fanny, for your expertise on the subject and showing what a good foodie can do for a struggling family. Keep on bloggin', I'm a fan. 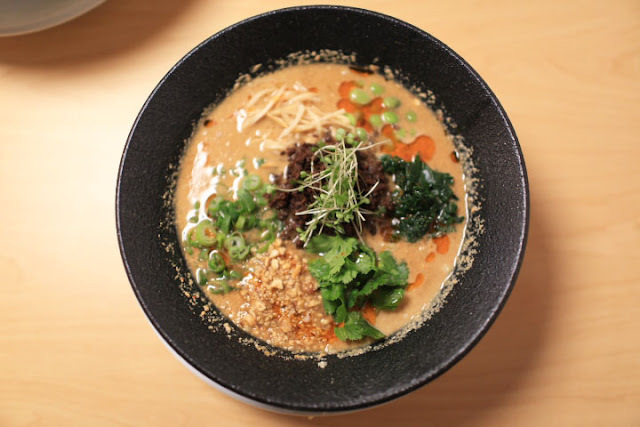 OK, beside of the Vegan Tantanmen, all that pictures makes me hungry, looks great (to me), I don't like to stand in line but if the restaurant worths it I for sure will. This looks awesome! I like the vegan option. Nice! 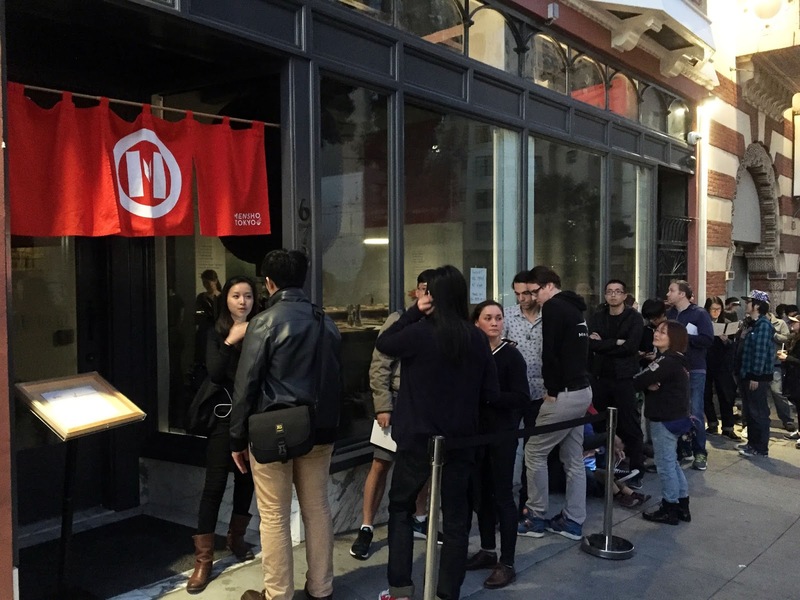 It really does have its uniqueness that you can't get from other ramen shops. I like the vegan version too. ^^ Hope you get to try it if you are around San Francisco. The Vegan Tantanmen looks very good!